Secure Data Recovery Services offers an expansive set of data recovery resources and hard drive repair services, mobile data recovery in Midlothian. As a certified and professional data recovery provider, we deliver consistent success rates, fast turnarounds, and perfect security. Regardless of your media type or the cause of data loss, our Midlothian location offers a range of services to quickly recover your files. See some of our featured data recovery services below. Besides achieving an average 96 percent full data recovery rate for all types of digital storage media, Secure Data Recovery Services ensures complete security and confidentiality of your sensitive personal or business data via strict physical and logical access controls utilized during any repair or recovery process. Additionally, our company applies PCI-DSS and EU-US Privacy Shield frameworks to ensure the confidentiality of all sensitive data managed during data recovery. Secure Data Recovery Services’ Authorized Partner Location in Midlothian applies the most advanced technologies, tools, facilities and training to every data recovery case. For instance, our company employs Class 10 ISO 4 Cleanrooms. We also hold SOC 1® and SOC 2® Under the Guidance of SSAE 18 certifications and restrict data transfers to 256-bit encrypted networks. 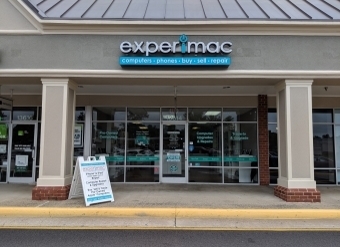 We employ Apple Mac Certified technicians and are approved by major hardware manufacturers and vendors, which verifies our recovery/repair techniques for all types of devices including servers, RAID controllers, laptops, smartphones and the newest storage media. Our detailed case evaluations include a list of all recoverable data while offering multiple options for recovery, which eliminates guessing about the time and cost of your case. Our emergency service averages a 48-hour turnaround to return your mission-critical data. Our Midlothian data recovery services Authorized Partner Location is available 24/7 every day of the year to service your data recovery needs. Start by calling our award-winning customer service reps today at 1-800-388-1266 to initiate your free case evaluation or to answer questions about our industry-leading data recovery service. Also inquire about our other valuable data services such as e-discovery, digital forensics services, data migration, data conversion or device repair/recovery. Alec Sakenes was great to work with. The whole process is very easy and informs you every step of the way. Great service! Excellent customer service... Thank you Alec and staff for recovering 10 years of pictures and files! This company is professional and trustworthy. You have one happy customer right here!